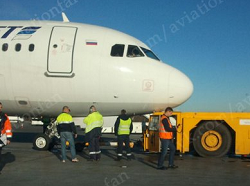 The aircraft was damaged when it its nosegear dug in during pushback. . In the initial stages of the pushback maneuvre from an off-terminal position, the nosegear suddenly gave way. The nose dug in and hit the connected towing truck resulting in unspecified damage. it appears that the pilots inadvertently hit the wheel brakes putting enormous stress to the strut. There were reports about any injured persons. The flight to Sharm-el-Sheikh was cancelled. 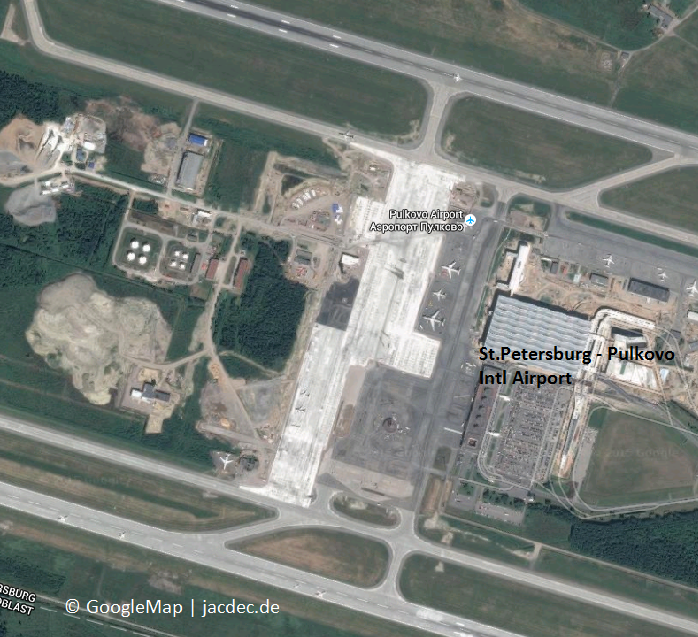 Today, 05/11/2015, at Pulkovo Airport (Saint-Petersburg) tractor airport ground services has violated the rules of towing aircraft. 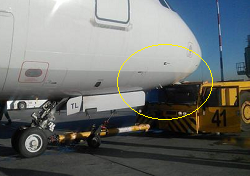 As a result of the violation at the turn for towing aircraft was damaged mechanism of the nose landing gear. 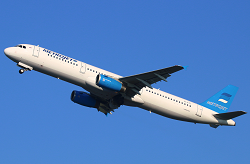 This incident resulted in the need to bring the reserve aircraft, as well as delay the departure 7K-9267 St. Petersburg – Sharm El Sheikh. Estimated time of departure – 17:05 (MSK).